Note: you will need Adobe Acrobat Reader to view our menu. If you do not have Acrobat, press the Download button below. All images and text © JJ's Pub & Grub, 2004. 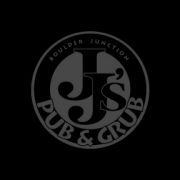 Send comments or questions to info@jjspubandgrub.com.